In 1990, a group of seven childhood friends, known as The Losers Club, reunite to combat a mysterious threat which they had thought was long since buried. Lurking in the shadows, and preying on their innermost fears, a shape-shifting, supernatural predator, manifesting as a killer clown called Pennywise (Tim Curry), prepares to strike again. In 1990, a group of seven childhood friends, known as The Losers Club, reunite to combat a mysterious threat which they had thought was long since buried. 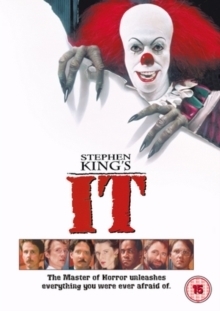 Lurking in the shadows, and preying on their innermost fears, a shape-shifting, supernatural predator, manifesting as a killer clown called Pennywise (Tim Curry), prepares to strike again.